Elegance abounds in this luxurious residence tucked within the highly-sought-after, cul-de-sac community of Addyston Parc. 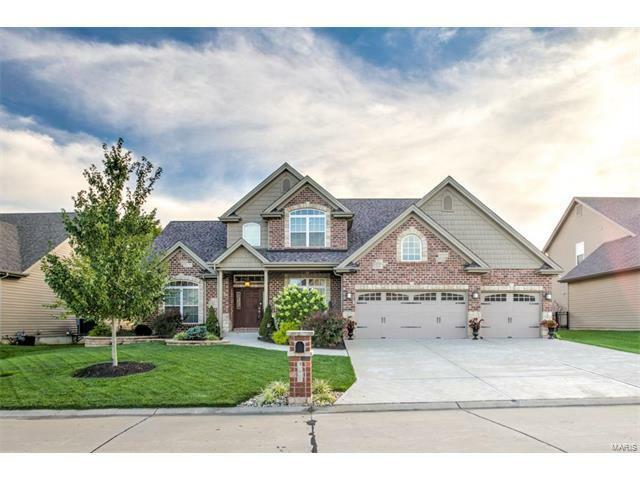 4 beds/3.5 baths, brick & stone elevation, 3-car garage, 10' main floor ceilings, hardwood floors & lavish crown molding. Spacious & open, it features a large family kitchen with upgraded cabinets, high-end, stainless, Viking appliances, granite counter-tops, walk-in pantry & custom wine/beverage entertainment center. Great room has tons of windows and direct-vent, stone gas fireplace. Luxurious main floor master suite offers coffered ceiling, W/I closet & large full bath w/ double-bowl vanity & separate tub/shower. Upper level offers 3 more beds plus an expansive loft for office or rec room. Pass through French doors and enjoy a cup of coffee or a glass of wine on the beautiful, 18x13 covered deck as you admire the professionally landscaped yard with black, ornamental fencing. New 2016: roof, gutters, downsp. Priced below neighborhood comps and waiting for you!